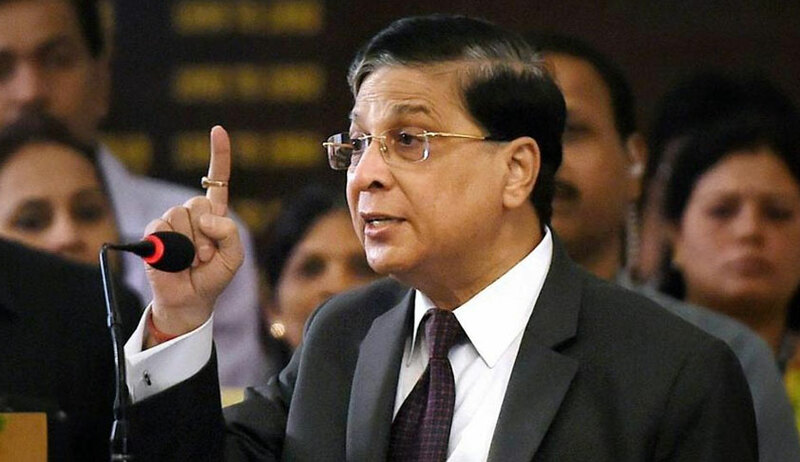 In view of the observations of the Arrears Committee of the Supreme Court in respect of the mounting pendency of civil and criminal appeals before the High Court, CJI Dipak Misra has written to the Chief Justices of the High Courts to initiate a Disposal Review Mechanism. The Mechanism is intended to concentrate on the institution and disposal of matters on a priority basis, taking stock in each month so as to enhance the disposal. “The arrears committee of Supreme Court of India in its various deliberations noted that large number of criminal appeals and civil appeals are pending in High Courts. The high courts have already been requested to prepare action plans with cut off dates for disposal of 10 year and 5 year old cases and such plans have to be continuously monitored by committees at the level of High Court and subordinate court in the light of experience and new ideas". The CJI, in his communication of June 14, has stressed on the need for “Continued formative assessment” and aligning a “process oriented approach” with a “result oriented” one to “ensure impact assessment of both quality and quantity based on definitive criteria” as the means to better the justice delivery system. Noting that the disposal of old cases and cases of prioritised categories requires to be accelerated, CJ Misra has simultaneously pressed that efforts should also be made to ensure that the overall disposal at least matches the overall institution of matters. Accordingly, he has recommended that the Arrears Committees of the various High Courts meet once every month and submit a monthly report so that the disposal is monitored and suggestions for future course correction advanced. The communication has been addressed to all High Courts, except those of Sikkim, Meghalaya and Tripura where the pendency is not so high. Further, in another communication dated June 22, the CJI has, in the light of the apex court judgment in Malik Mazhar Sultan v. UPPSC (2006), impressed upon the Chief Justices of several High Courts to take steps to promptly fill the vacancies in the subordinate judiciary, particularly where the same is higher than 15%. He has reiterated the obligation of the High Courts to ensure that Selection and Appointments Committee periodically monitors the filling up of the vacancies in the District Judiciary and that an online portal shall also be established to aid the process.